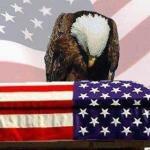 What can one say to the heroes that have given their lives for us to have this great country we live in. We cannot talk to the dead, but we can remember that they gave their lives while on the field in battle. I believe being thankful, and remembering those who still serve our country is an honorable way to have a holiday. Thank you for helping me to honor these troops. I like reading these kind of posts. my dad served in the British Army in the second world war. I respect everyone who gave their services for their country!